Drinking Bird, Energy: Educational Innovations, Inc. Simply moisten the bird's head with water, place it next to a full glass of water and watch as the bird periodically dunks its head into the glass for a "drink". It continues for hours. Great centerpiece for class discussion or laboratory exploration. How does it work? Is it really perpetual motion? Does it work better with hot or cold water? Does it work in an enclosed space, such as an inverted aquarium? Each bird comes complete with an explanation for teachers and suggested experiments. We have had many requests for this product over the years. 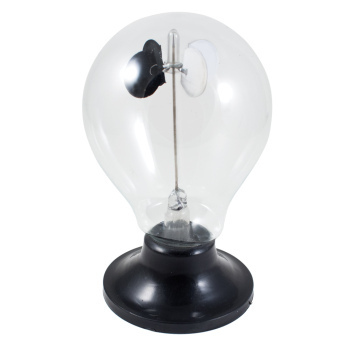 Whether you are interested in the science behind this fifty-year-old scientific toy or have just fallen in love with its adorable face, it makes a great addition to the classroom or a great gift! (6" tall.) Colors may vary. Read more on our Blog - Why Is a Drinking Bird Like a Dog on a Hot Day? When the felt on the head of the sealed glass bird is wet with water, the bird pivots back and forth into a glass of water. It gives the appearance of drinking! Wet the head of the Drinking Bird, and place a full glass of water near it so that when the head tips forward, only the beak comes in contact with the water. Most Drinking Birds work without adjustment! Sometimes a small adjustment to the pivot point of the bird is needed. Carefully move the metal clip up or down the glass tube, (ca. a millimeter), until the Drinking Bird just balances in a vertical position. As the rising liquid near the top cools, less liquid evaporates into the head and more vapor returns to the liquid state. Since this demonstration only works with a sealed liquid that has a high vapor pressure, this is a major factor. As the head cools further and more liquid inside the bird rises, the center of gravity of the bird rises, causing the bird to become unstable and tip forward. Eventually, the beak of the bird tips forward enough to rewet its head. When this happens, the bottom end of the glass tube in the lower bulb is above the remaining liquid. Vapor from the bottom travels to the top until the pressure is equalized. At the same time, liquid in the column flows to the bottom. As the center of gravity of the bird is lowered, the bird tips vertical and the cycle starts over. Q. Is this an example of perpetual motion? Q. What is needed in order for the Drinking Bird to work? A. A difference in temperature between the head and body. Observe the operation of the Drinking Bird and explain how it works. Discover a way to make the Drinking Bird cycle faster. Predict what will happen if a fan blows air toward the Drinking Bird. Does it make a difference which direction the air blows? Predict the result of using warmer or cooler water in the glass. How long will the bird cycle without needing a refill of the water in the open container? Can you find a way of causing the bird to cycle longer? Is there a difference in the cycle rate on a humid day vs. a dry day? Can the bird be used to determine the relative humidity in the air? Can you attach a thread to the bird so that it does useful work, e.g. lifting a small paper clip? This is the best gadget I bought among these ones. Incredible as much it works properly weeks after weeks wasting a very small amount of water. Fashinating balance of thermodinamic and mechanical skill in a very easy and poor assembly! Love the larve, can't get the bird to dip into the water. Owner Response: Ruth, someone from customer service will be contacting you today. Sometimes the bird's fulcrum needs to be adjusted by sliding the bird's neck up or down through the metal sleeve, which changes the center of gravity. If this doesn't work, we will send you out a replacement. Received order promptly but only one of the two toys worked. Disappointing. Owner Response: We are terribly sorry for any inconvenience. One of our customer service representatives will contact you regarding your purchase of the Drinking Bird. The problem is most likely with the placement of the fulcrum, however, if we cannot get your bird to work, we will replace it immediately! Awesome item from the past! My 7-yr-old grandson loved this over all the other gifts he got for his birthday. He loves watching it and talking about it. I would recommend this to anyone. "Old fashioned" toys still hold a place in the lives of today's children! Alot of fond memories from childhood where shared with me when I took this to school and showed others. The kids loved watching Mr. Hothead I called him, cool off! They renamed him Bob :) Fun stuff! 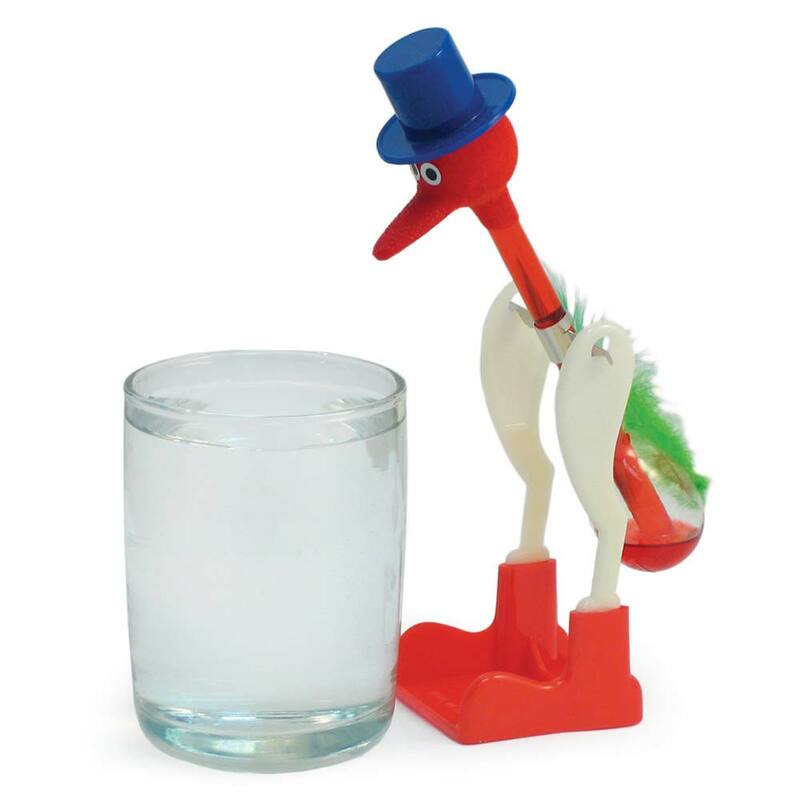 While describing to a friend how we keep drinking (going back) within a relationship whether it is any good anymore or not, I was reminded of my neighbor's drinking bird during the 60s! I wanted one to use in my workshops to show the power of love and what happens when it goes away. I love to make my workshops fun too, so, thanks for having my "very own drinking bird" so that I can share him with others to awe them and remind them how they follow a leader, even in relationship! You guys are an awesome site for fun and learning. My students are mesmerized by my Dippy Bird! They all want to know how it works and willingly listen to an extra science lesson! I remember the first time I saw one of these. I couldn't get over the fact that it was moving alone, by itself, and would just keep on going. I was awestruck. I was six. It's held my attention every time I've walked past one ever since. Easy to set up, and it works. Give some insight to how it works with the "hand boiler". Read my review there. I remember being fascinated by the drinking bird as a child. I am no longer in the classroom but he is a great conversation piece in my office. I set my drinking bird up in September and the kids notice it. They constantly ask me why does it drink. I tell them they will find out. But, it isn't until spring when we study heat transfer that I explain the bird and they are still fascinated! He is great for exploring ideas about scientific thinking. I love my drinking bird and so do my 8th graders! This guy is a lot of fun for the kids to watch! My students ask to have a turn to give our bird its daily water, and fuss when it stops over a long weekend! There is really quite a bit of interesting science in this one little bird, particularly, how temperature affects pressure. I was worried that it would break immediately around my 160 students, but I have had the same bird for two years! I have used this bird for several different classes, physical science, earth science, and chemistry. It is versatile because it has potential to teach and promote critical thinking skills. The only drawback is its fragility. Buy several for they will break!! After the eighth grade had enjoyed watching the bird taking drinks all period, they were amazed the next day to see the bird still drinking. The following week I took "Mr Thirsty" to the kindergarten. WOW! They thought he was "cool." "Why is that bird doing that?" "What is causing that to happen?" Wake up the questioning and experimenting node in your students with this wonderful bird! This is an excellent product that never fails to elicit curiosity amongst students. Having students hypothesize about why the drinking bird behaves the way it does is an interesting challenge. This works well with enriched grade-10 students and would likely work at just about any age or ability level. Made of glass, the birds are somewhat delicate so I would not give these birds to students to manipulate without very close supervision. This year I had a student with poor dexterity break one (sharp glass and organic solvent spilled). I highly recommend, however, getting at least two of these to use as demonstrations or in a lab station set-up. Great Item to challnge thinking! This is a great demo or student experiment to challenge student ideas about energy. Students must understand several critical concepts to write a clear explanation of the operation of the bird. Nothing dippy about these birds! My middle school students loved them! If you have a set of them, it is fun to test different variables (like type of liquid they dip in) vs. the rate of dipping. This is my second semester final in Honors Chemistry. It covers thermodynamics, intermolecular forces, equilibrium, and gas laws which are second semester topics. This bird was a huge 'hit' with 9th Grade Physics students... unfortunately it was quite flimsy and got broken by accident when the first student picked it up for closer inspection. The science behind the way this works is fairly complex for students to grasp. Students need to be able to understand what is happening at several times during the cycle... but they love watching it and thinking about it! Just be careful--these are fragile. We broke one, and the liquid inside took the finish off our wooden table. I use these birds to have students make observations and inferences, demonstrate heat engines and discuss thermal expansion. Endless possibilities! Students can use the Drinking Bird Demonstration to use and share observations of local weather conditions and describe patterns over time. Students can use the Drinking Bird Demonstration to make observations and/or measurements of an object's motion to provide evidence that a pattern can be used to predict future motion. Students can use the Drinking Bird Demonstration to make observations to provide evidence that energy can be transferred from place to place by heat. Students can use the Drinking Bird Demonstration to design, test, and refine a device that converts energy from one form to another. Students can use the Drinking Bird Demonstration in the plan of an investigation to provide evidence that the change in an object's motion depends on the sum of the forces on the object and the mass of the object. 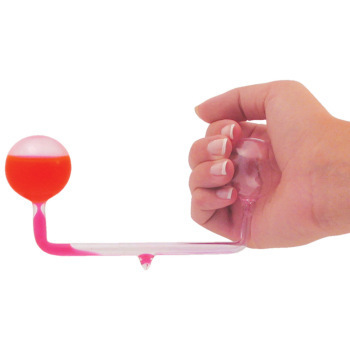 Students can use the Drinking Bird Demonstration in an investigation to construct and present arguments using evidence to support the claim that gravitational interactions are attractive and depend on the masses of interacting objects. Students can use the Drinking Bird Demonstration to develop a model to describe that when the arrangement of objects interacting changes, different amounts of potential energy are stored in the system. Students can use the Drinking Bird Demonstration to test what either minimizes or maximizes thermal energy transfer. Students can use the Drinking Bird Demonstration as an introduction to an investigation to use mathematical representations of Newton's Law of Gravitation to predict the gravitational forces between objects. Students can use the Drinking Bird Demonstration to refine a device that works with given constraints to convert one form of energy into another form of energy. 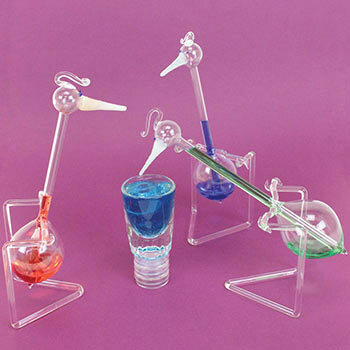 Students can use the Drinking Bird Demonstration to conduct an investigation to provide evidence that the transfer of thermal energy when two components of different temperature are combined within a closed system results in a more uniform energy distribution among the components in the system. This amazing 50+-year-old science toy can be linked to physical science, earth science, chemistry and more. Effective for students of all ages. It is important before starting any of the investigations; make sure the bird is at equilibrium. A slight adjustment at the fulcrum or metal clip on the neck up or down is all that is needed until Drinking Bird just balances in a vertical position. The speed of the bird's dipping cycle changes due to the humidity in the air. If the students watch and collect data; overtime in different weather conditions they will see a correlation. Students can use the Drinking Bird Demonstration to use and share observations of local weather conditions and describe patterns over time. Students can use the Drinking Bird Demonstration to make observations and investigate motion. Have the students change the temperature of water and make predictions about the speed of the dipping cycle. Water requires heat to evaporate. In this Drinking Bird Demonstration, water from the wet felt on the outside of the head evaporates, as the vapor in the head cools, the vapor contracts. This causes higher pressure in the lower bulb, allowing liquid to raise up the neck, the center of gravity rises, resulting in the bird to become unstable and tip forward. When the head gets wet, the cycle repeats itself. 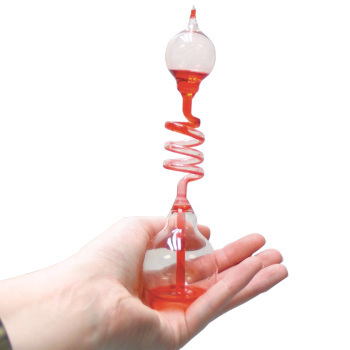 Students can use the Drinking Bird Demonstration in an investigation to understand Center of Mass as pressure inside bird changes, so does the fluid moving up the tube.